there’s a difference between mostly duped and all duped. mostly duped means you’re slightly aware. with all duped, well, there’s only one thing you can do – go through reincarnation’s clothes and look for a life change *badum dum tsh* (daily hot! quote) – AmyJalapeño! 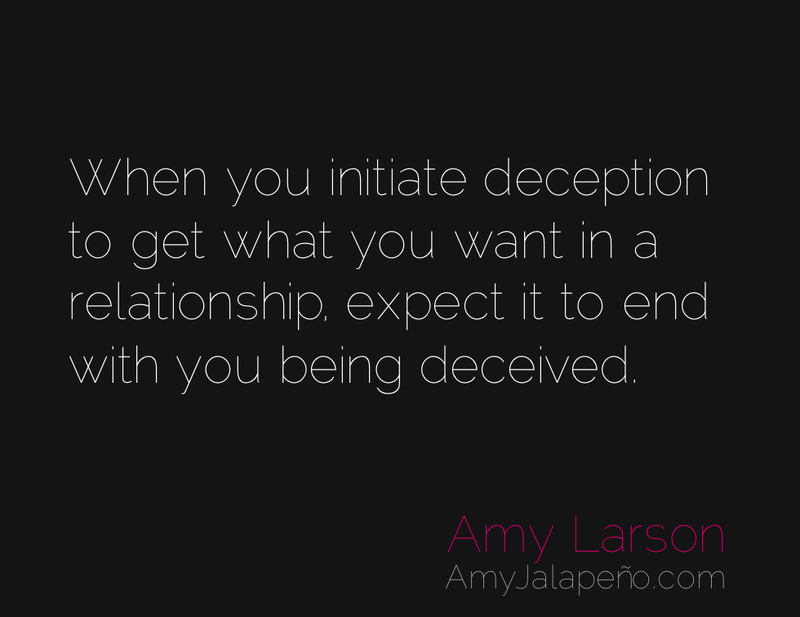 When you initiate deception to get what you want in a relationship, expect it to end with you being deceived. For when you trick, mislead, and manipulate to get what you want (even in the name of spoon-sugared innocence), you set in motion your own fate Events, situations, and people flowing in and out of your life will accommodate the contribution you just made to humanity. It could take hours, months, decades to manifest, depending on when you become aware of what you have done. But the Universe is patient. It has all the time of eons. And it loves you that much.